The muscles: A group of hunks show off their iron-like pecs and abs as they dance on stage. 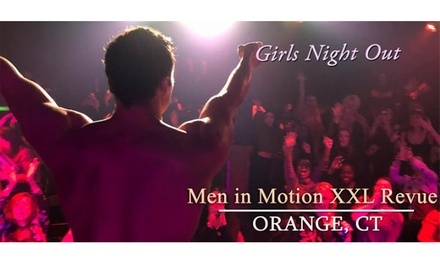 The magic: The fun-loving show incorporates a variety of moves a la the movie Magic Mike, resulting in a sultry performance ideal for any ladies’ night out. Refundable only within 24 hours of purchase. Limit 8/person. Valid only for option purchased. Redeem on day of show for a ticket at the venue box office. Merchant is issuer of tickets - discount reflects current ticket prices, which may change. ADA seating cannot be guaranteed; contact box office prior to purchase for availability. Ticket value includes all fees. Must be 21 or older.